Managed SD-WAN is a powerful addition to any hybrid network. Whether you need to enhance application performance and security or intelligently leverage multiple WAN connections for price-performance optimization, Managed SD-WAN delivers the incremental layer of networking capabilities required. 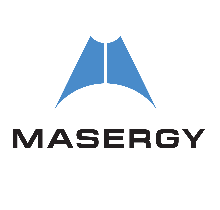 Masergy's Managed SD-WAN is a fully managed service. We handle all design, deployment, maintenance, and continuous monitoring so you can leverage the latest innovations while avoiding vendor lock in. Learn more about Masergy's Managed SD-WAN.